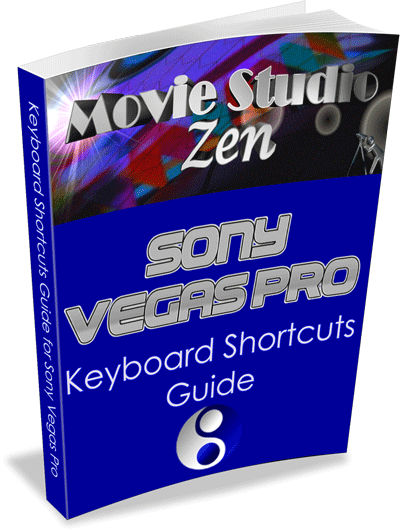 This eBook is completely free to anyone who Creates a Free Account with Movie Studio Zen or Subscribes to the Movie Studio Zen Newsletter. Creating a free account automatically subscribes you to the Newsletter and gives you the ability to ask questions on the Movie Studio Zen Forum and post comments on the website. You will be emailed the Newsletter every time I publish a new article on Movie Studio Zen. After you create your new account, remember to login and then go to Support/Free Downloads. If you only want to subscribe to the Newsletter and not create a Free Account, you can still download the Keyboard Shortcuts Guide by subscribing via the link.